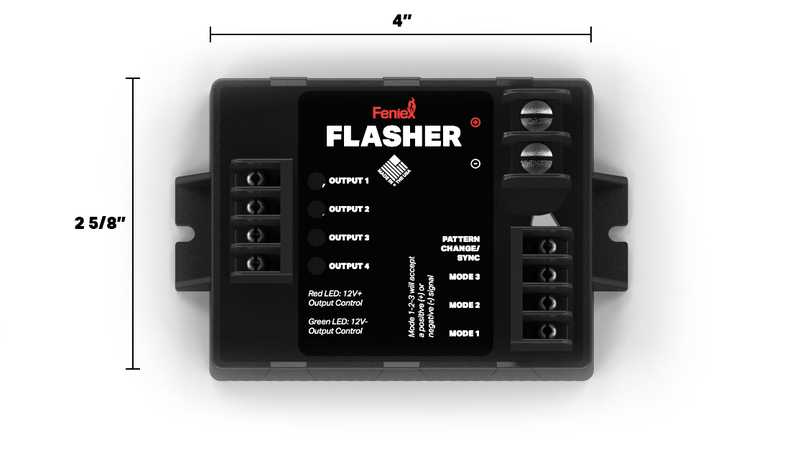 Click the button below to add the Feniex Flasher H-2220 to your wish list. 21 flash pattern options and acts as the brain of the module. Programmable +/- output: 4 channels can be set to output 12V+ voltage or 12V- voltage.